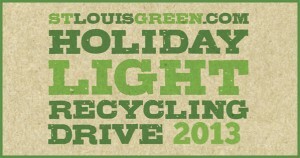 Recycling options go beyond paper and plastic nowadays, so it’s no surprise that St. Louis Green has implemented a holiday light drive. 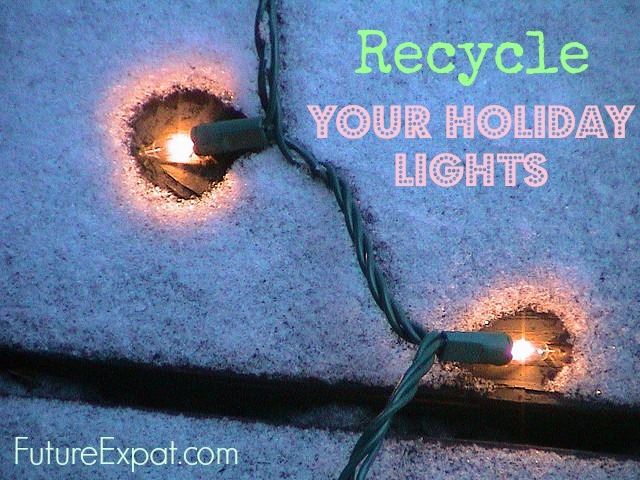 As you are taking down your old or broken lights, don’t throw them in the trash and have them end up in a landfill. Instead, drop them off at one of the many locations throughout the St. Louis region. 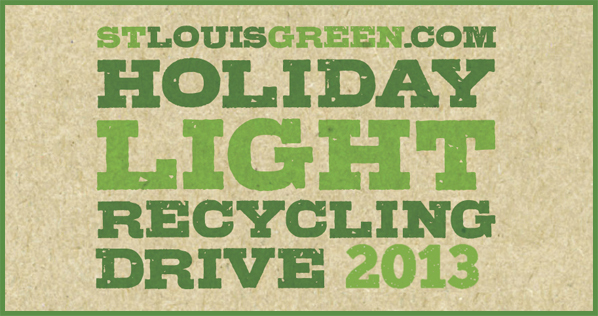 Last year the holiday light recycling program diverted 117,000 pounds of holiday lights from ending up in landfills. 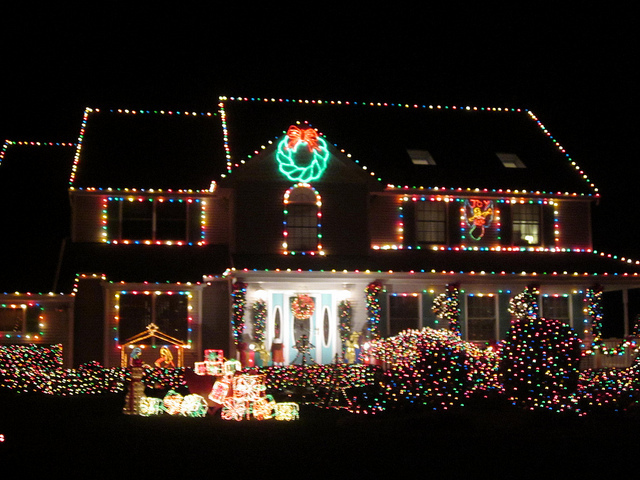 This year, they are trying to collect 136,000 pounds of lights. Add your old lights to the drive and help them reach their goal. The recycled lights get shredded and then the copper inside the plastic tubing is separated out and will be resold for future use. The proceeds of the copper sales go to support the program of collecting the lights, now in its 5th year. A portion of the proceeds are donated to St. Louis Food Bank’s Operation Backpack, which sends kids home on Fridays during the school year with nutritious, easy to prepare food so they won’t go hungry over the weekend. Don’t throw your old non-working lights in the trash or put them in your basement with the idea you’ll fix them next year (you know you won’t!). Donate them by dropping them off at one of the many locations below. LIghts can be dropped off through January 12, 2014 at these locations during business hours. Thanks for sharing this – just tweeted it out. Fortunately all of our lights are working still. We are almost all LED lights now too which is nice.